Only at Vape Craft Inc will you find such a wide variety of kosher grade vape juice flavors that are made to order for your vaping convenience and are not only affordable, but they also won’t gunk up your coils, imagine that, juice that tastes good, is affordable, and won’t make you spend more money on extra hardware due to low quality products. All the flavors offered on our site use the highest quality ingredients possible to ensure that not only will your wallet be happy with our prices, but your taste buds will fall in love with our hand-crafted flavors. 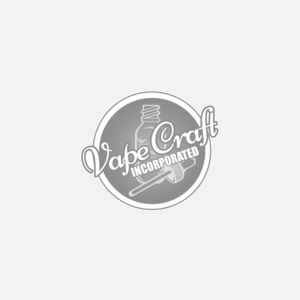 Below we will reveal not only which flavors are the hottest sellers, but the flavors that we here at Vape Craft Inc. love to vape every single day. OMG SO GOOD, like many of our original budget flavors, was crafted by our fearless leader and CEO, Daniel Pollock back in 2013. Fusing some of the most popular and exquisite dessert flavors used today, OMG SO GOOD utilizes rich and creamy dessert notes to craft one of the best dessert flavors the industry has ever seen. Savor the notes of bourbon, sweet vanilla, brown sugar and a fine custard that mixes perfectly with a New York cheesecake. Over the years many companies have tried to copy this flavor or taken elements of this formula and created a lesser juice. Don’t settle and get this all in one juice that will make you keep coming back for more. So, sit back, drip some of this ejuice and bask in the most vivid flavor notes hand crafted just for you. Blueberries are delicious, especially when mixed together with a rich and creamy vanilla custard. So, we did exactly that. Fruit/dessert lovers rejoice! We saw no need to complicate anything. After all, if it ain’t broke don’t fix it right? We took the best flavorings available, a kosher VG grade base, and the best nicotine salts (if you choose this with a nicotine level above 0mg) and created another flavor that is worthy to be “ADV” status. We enjoy mixing this with other complimentary flavors like mama’s muffins and know that we want to make the best possible flavors possible to ensure that whatever you get from us is up to our standard and can be enjoyed to the very last drop. Enjoy the freshest blueberries and creamy custards with our version of blueberry custard juice. Almost every vape juice company that you visit will have their own version of a strawberry milk flavor, understandably as it is incredibly popular, and the simplicity of the flavors make it a great flavor to enjoy throughout the day without having to worry about how others may dislike the aromas. As one of our original flavors and tweaked throughout the years to keep the quality as high as possible for you to enjoy we can say that strawberry milk is one of the staff’s favorite picks each month and with thousands of orders every month, is one of our customers favorite juices as well. Don’t be disappointed with lesser versions of strawberry milk eliquid and get yours hand crafted by us and enjoy this replica of the real things. These vape liquids are curated and selected due to their delicious flavor notes that wont gunk up your coils, have great longevity in your devices, and turn heads with the incredible aromas that the vapor will provide. Get your Vape Craft juices today and see why people all over the world turn to us for all their vaping needs. This entry was posted in E-Juice, Vaping Relevant, e-liquid on June 11, 2018 by vape.